Considering starting bird watching as a new hobby? Or you are already an avid bird watcher and looking for an upgrade of your bird watching equipment? Picking out the best birding binoculars can be a bit of a challenge, considering all the available options today. However, there are many things to be looked at and understood in relation to binoculars for bird watching, and in the end, it all comes down to personal preference and price range. The best binoculars for bird watching have to fulfill several requirements: to be able to have easy close focus, to be relatively lightweight, to have good image clarity, wide field of view and to fit into your budget. 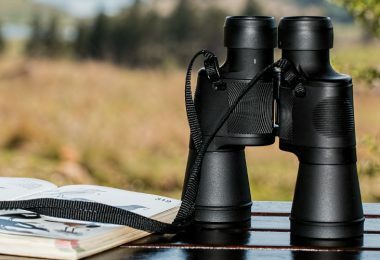 We have compiled a list of the best binoculars for bird watching in various price ranges and explained the basic features that you have to consider when looking for your next birding binoculars. So, read on and make the best decision for your bird watching needs. You can trouble yourself with hard decisions when considering what birding binoculars to choose. But first, you’ll need to understand a few requirements especially important for birders. 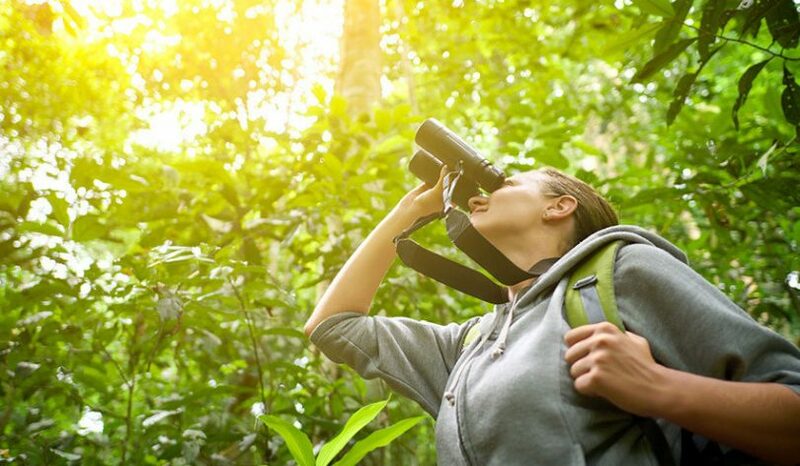 Here are the basics what you need to know when looking for a binocular for bird watching. Magnification: the bigger the better – or not! Most experienced bird watchers recommend 7x, 8x, or 10x magnification. This means that the object you are observing will look 7, 8 or 10 times closer, respectively. And by getting binocular with higher magnification you will, of course, get closer, more detailed image. This comes very handy when observing birds at very far distances and birds that don’t move very fast. But this feature has its limitations. The higher magnification power binoculars have a narrower field of view, are heavier and more difficult to hold steady, and are more difficult for close focusing. 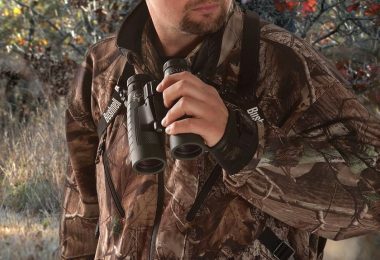 The lower magnification power binoculars give brighter images and have a wider field of view. This means that you will be able to see a wider image, which comes very handy when observing flocks. Also, the brighter image is more helpful in low light conditions for example when observing objects in wooded areas, or when watching birds at dawn or dusk. Objective lens diameter: what works best for bird watching? The objective lens is where light enters in the binoculars. The bigger the lens diameter, the more light it will capture and transmit, resulting in a brighter and sharper image. The bigger lens means heavier lens and overall heavier binocular. The ideal aspect ratio between the magnification and the objective lens diameter for bird watching binoculars should be 5 – so if you are choosing 8x magnification power, the objective lens diameter should be at least 40mm. An expert’s advice is to go for an 8x40mm or 8x42mm binoculars, these sizes offer the best combination of properties for bird watching: taken into account are the brightness of the image, the angle of view, weight and handling. The lens coating has an important role in light transmission. The coatings prevent light reflection, meaning that more light is gathered inside of the body and the projected image is brighter and sharper. The lenses on various models have different coatings, varying on the manufacturer and can be single coatings, multilayer, fully coated and multicoated. The most expensive part of the binocular is the type of glass from which the prisms are made. Most common is the BK7 (Borosilicate Crown Glass) prism system, the cheapest prism glass on the market. A higher quality is the BaK4 (Barium Crown Glass) prism system which offers higher light transmission resulting in sharper images. More expensive models have the ED (EX) – Extra Low dispersion prism system or FL – Fluoride ion containing prisms for better colors. 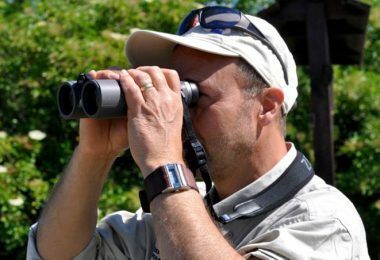 When looking for birding binoculars, it is always a good idea to compare several models and see what works best for you. Exit pupil size: what does this mean for birders? 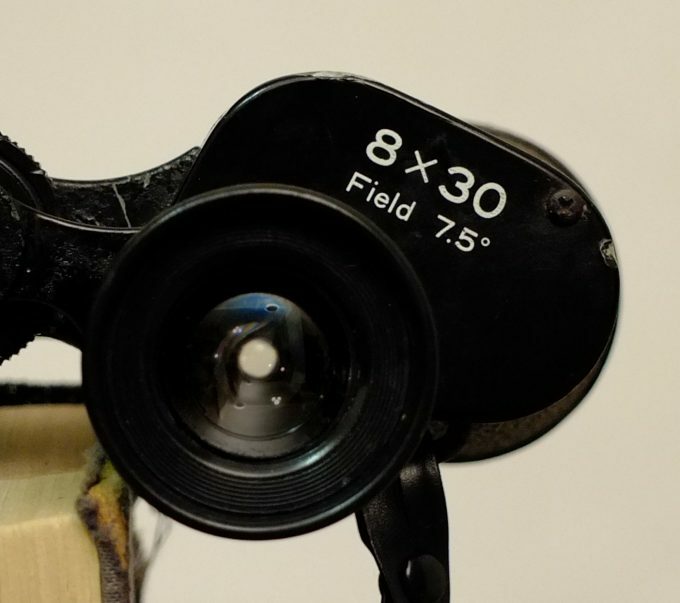 The exit pupil size is the diameter of the image visible at the “eye” side of the binoculars. It is the ratio of the objective lens diameter divided by the magnification power. A bigger exit pupil size means the better image in low light conditions. As a general rule, for bird watching the exit pupil size should be 4mm or more. 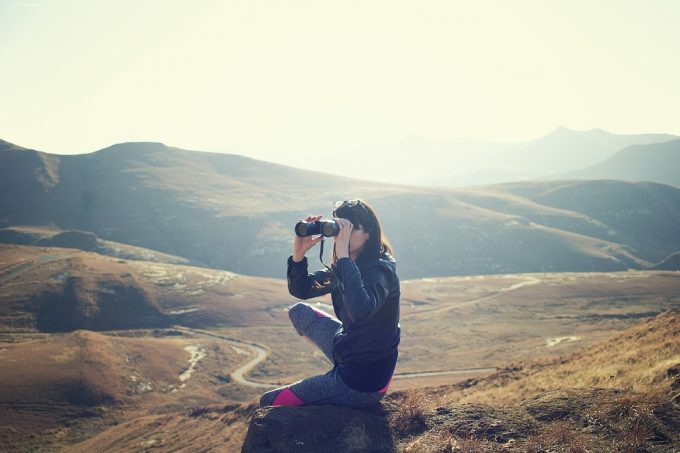 For bird watching you should avoid relying only on compact binoculars with small exit pupil size, as they are harder to use; if you want to watch birds in wooded areas, low light or on a boat then aim to get binoculars with an exit pupil size of 5mm or more. This measure shows the distance where you can hold the binoculars away from your eyes and still see the entire field of vision. A person without glasses can comfortably see eye relief between 9 and 13mm. However, a person with glasses needs greater eye relief, usually between 15 and 20mm. So, when watching for a bird it is better to have greater eye relief. The field of view is the width of the area you will see watching 1000 yards away. This is related to the apparent angle of viewing – the wider angle results in a wider field of view – the wider the image. Higher magnification power binoculars have a narrower field of view, lower magnification power binoculars have a wider field of view. When picking bird watching binoculars, this is an important feature to consider. A wider field of view facilitates finding and tracking birds, but narrower field of view offers sharper images. The close focus is the shortest distance where the binocular gives sharp, clear, focused image. When choosing bird watching binoculars, this is a very important feature to consider.You should know that the bigger the magnification, the increased the close focus is. The close focus is very advantageous when looking at birds very close by (10 – 15 feet away) or when observing butterflies, flowers and other close objects. Also, when looking at binoculars for bird watching, the ease of focus is another feature that should be taken into account. The focus mechanism should have smooth movement and fast dial allowing for easy focusing.For bird watching it is especially easy to have a central focusing system that can be easily turned for quickly locating the desired subject. Binoculars come in three size categories: compact, mid-size and full-size. Compact binoculars are small, easy to carry and do not take much space in a backpack. But they also do not provide the performances of larger scale binoculars. Mid-sized binoculars have good features, providing good images, but still, have some limiting factors. Full-size ones offer the best features for bird watching binoculars. The weight is very, very important. If you plan to walk around all day and use the binoculars for expensive birding, you should consider options that are fairly lightweight, well balanced and will not fatigue your wrists. As a general rule, the bird watching binocular should not weigh more than 2 pounds. Most of the binoculars on the market today have fully rubber coated bodies, no matter the material of the chassis. It is always more comfortable to grip ergonomic, rubber coated binoculars; the rubber coating also provides good surface protection against scratches, bumps, and corrosion. However, rubber coating does not provide protection against the elements. Many manufacturers today offer weather resistant models of binoculars. The waterproof option is great for active birders who go through wooded areas, or by water bodies. The waterproof feature also protects from dust, dirt and small debris. Also, many models have fog proof feature – the inside atmosphere is purged with nitrogen, providing protection from fogging of the inside. This is very important for birders that live in humid climates, or tend to get exposed to quick temperature changes. We have explained the key features you need to consider when looking for bird watching binoculars. Now let’s look at the best bird watching binoculars in several price ranges. Specific features: EL Swarovision technology, HD lenses, precise focusing, unique close-up focus settings, Swaroclean outer lens coating, easy clean. 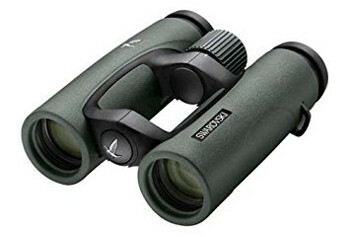 The Swarovski Optik EL Swarovision Binoculars are the top of the line, top price range binoculars for bird watching. They feature EL Swarovision technology that makes them superior in light transmission compared to almost all other similar products. The 8.5x42mm ones are great for bird watching from dawn until dusk. They have the HD fluoride lenses that minimize color fringing and offer high contrast images, with sharp, precise outlines. The exit pupil size is 4.9mm, the eye relief is 20mm, and they have a field of vision of 399ft/1000yards. 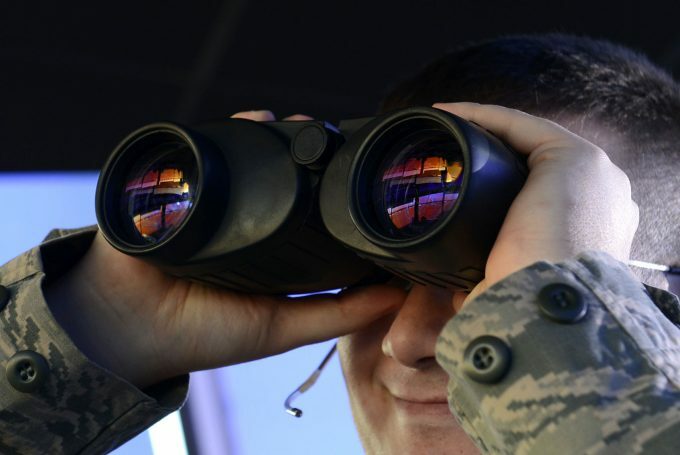 The shortest focusing distance is 4.9 feet, also very important for bird watching binoculars. The smooth central focus can be easily and finely adjusted with your index fingers. The Swarovski Optik EL Swarovision binoculars function at very large temperature range -13°F to +131°F. They are also waterproof in up to 13 feet of water and have a fog proof nitrogen internal atmosphere. The body has good, ergonomic design, and they come with carrying case, covers and neck strap. Overall, these characteristics make them an excellent choice for the bird watcher with exceptionally deep pockets. The Carl Zeiss Optical Victory HT offers amazing light transmission of 95% due to its HT High – Transmission glass technology and enhanced T coating. The HT technology contains FL lenses for great color resolution. The body is lightweight and very well balanced, almost perfect body design. The Comfort Focus Concept offers smooth central focusing with a short turn from long to short distance focusing. The exceptional light transmission and an exit pupil size of 5.3mm mean that the received image is brighter, even in low light conditions like dawn or dusk. The eye relief is 16mm, which is a good size for birders with eyeglasses. The shortest close focus is 6.2 feet. They are made in Germany, with exceptional quality of build. The Double-Link Bridge is made from lightweight magnesium and offers smooth and precise adjustment in field use. The Carl Zeiss Optical Victory HT Binocular is fully waterproof up to 16 feet in the water, it is fog proof filled with an internal nitrogen atmosphere. This binocular can be used in extreme temperatures ranging from -20°F to 140°F. It comes with a neck strap and carrying case. 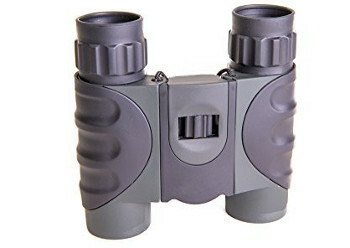 Overall this is a great choice for bird watching binoculars. 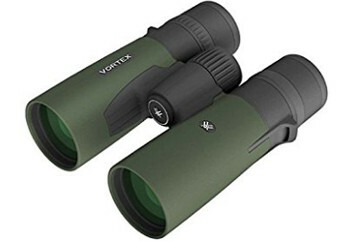 The Vortex Optics Razor HD Binocular is very well built. It has premium HD (High Density) extra-low dispersion fully multicoated lenses for high-quality resolution. The body is made from magnesium for extra durability and light weight while maintaining body strength. It has an open central hinge for increased ergonomics and easy focusing of the central knob. 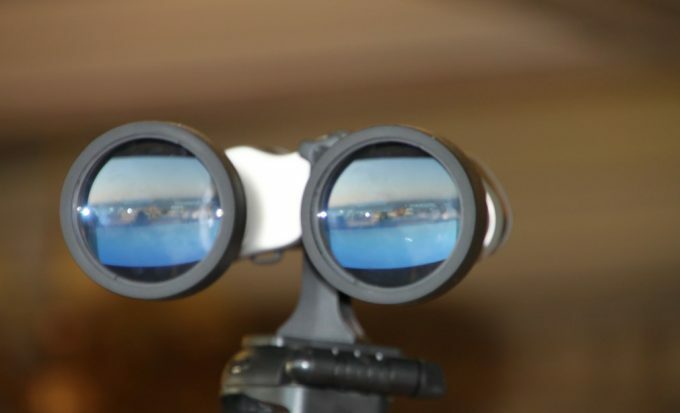 The binocular has an eye relief of 16.5mm, exit pupil size of 4.2mm, and a field of view of 362feet/1000yards. The close focus is 6 feet, making it very suitable for close range bird watching. The Vortex Optics Razor HD Binocular is fully waterproof, and the internal atmosphere is filled with inert argon gas for a fog proof performance in wide range of temperatures. The exterior sides of the lenses are coated with ArmorTek coating, allowing for ultra-hard, scratch resistant layer. The body is coated with rubber armor providing a non-slip grip and external protection of the body. The binocular comes with a carrying case, with neck strap and a VIP Unconditional Lifetime Warranty. 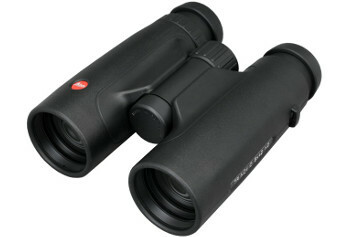 The Leica Binocular Trinovid is the entry in the premium level of binoculars. The binoculars are Leica’s Trinovid innovation – increased optics ensuring crisp images, with increased brightness and improved internal focus. They feature HD Glass, fully multicoated lenses and BaK-4 Roof Prism system for enhanced resolution and contrast. The body of the binocular is made from lightweight magnesium resistant to corrosion. The exit pupil size is 5.25mm; the eye relief is 17mm, and a field of view of 373feet/1000yards. The close focus distance is 5.9 feet. They feature a central focus knob for fine adjustment of the focus. Also, there is an optional tripod adaptation feature. The smaller size makes it more compact and easier to carry around without limiting its properties. They have the rugged and compact form and the combination of magnesium metal body and full – rubber armor allows for a perfect grip, secure handling and easy operating. They are waterproof up to 13 feet and fog-proof, filled with nitrogen internal atmosphere. The Leica Binocular Trinovid are sold with carrying case, neck strap, and lens covers. Overall, they are a good choice for the bird watching enthusiast. 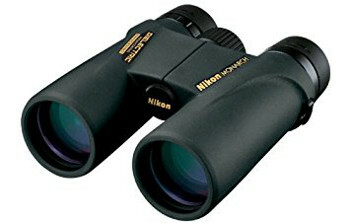 The Nikon Monarch ATB Binocular has the dielectric high – reflective multilayer prism coating allowing for a bright image with accurate color reproduction. The lenses are fully multicoated for improved light transmission. They feature central focus knob for smooth, fast range of focus for quick viewing. The field of view is 288feet/1000yards; the close focus distance is 8.2 feet; the exit pupil size is 4.2mm, and the eye relief is 18.4mm. The Multi-setting click stop eyecups allow for fast, effective eye relief. The body is waterproof, sealed with O-rings, and filled with nitrogen atmosphere for fog-free performance. They come with a travel case, adjustable binocular strap and lens covers. 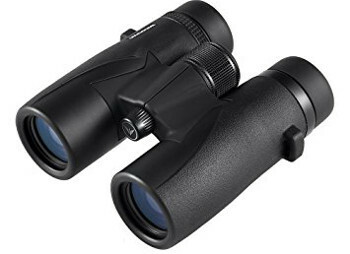 The pricing is very reasonable, and the improved lightweight, the slim design provides good ergonomics and ruggedness for a whole day of bird watching or prey tracking. 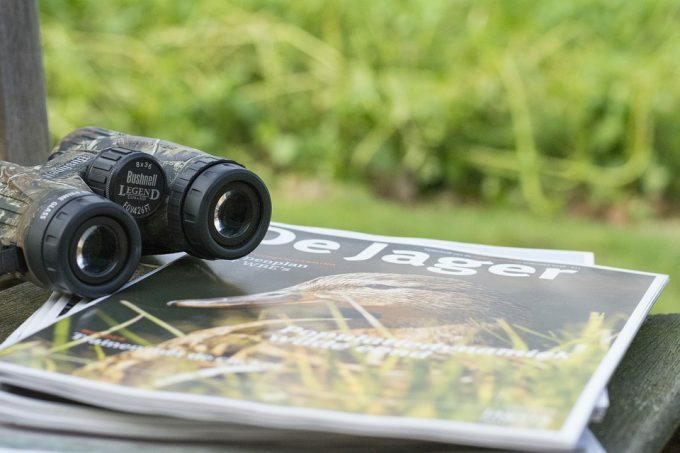 The Wingspan Optics ProBirder Ultra HD are an excellent choice for the novice bird watcher. They have small, compact dimensions, and interesting features. The binocular features ED Extra – Low Dispersion BaK-4 glass roof prisms for good image clarity. The lenses are fully multicoated for maximum light transmission. The magnification power is 8x, with an objective lens diameter of 32mm; this gives them an exit pupil size of 4mm. The eye relief is 17.8mm; the field of view is 393feet/1000yards, and they feature a minimal close focus distance of 6 feet. They have central focus knob for fine focus adjustment. The body is waterproof and fog proof filled with a nitrogen atmosphere. The rubber coated body allows for firm non-slip grip; also can be mounted on a tripod. They come with neck strap, nylon mesh carrying case, eyepiece and lens protection covers that are attached to the body and micro – fiber cleaning cloth. 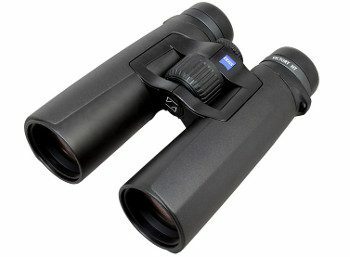 Good choice for low priced binoculars for bird watching. The PlaySmarte Binoculars is a cheap choice for the novice bird watcher. The body is constructed from an industrial grade plastic that offers durability. The 10x magnifying power offers good magnification, but the 24mm objective lens diameter has its limitations. 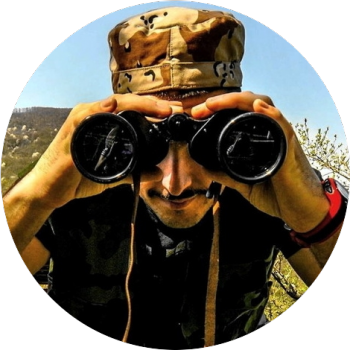 The binocular is very lightweight, waterproof, and compact and can be easily carried around. The light weight allows for them to be held comfortably in one hand. Especially fit for children, scouts, and people who are just starting with bird watching. The Bushnell Falcon Binoculars are the cheapest bird watching option on our list. They feature BK-7 Porro prism glass system and have fully coated lenses. 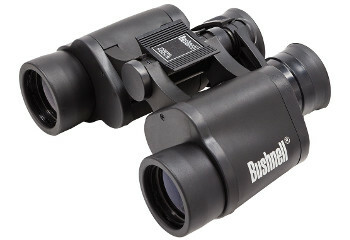 They are standard size binoculars, fairly lightweight and feature Bushnell’s registered InstaFocus feature. 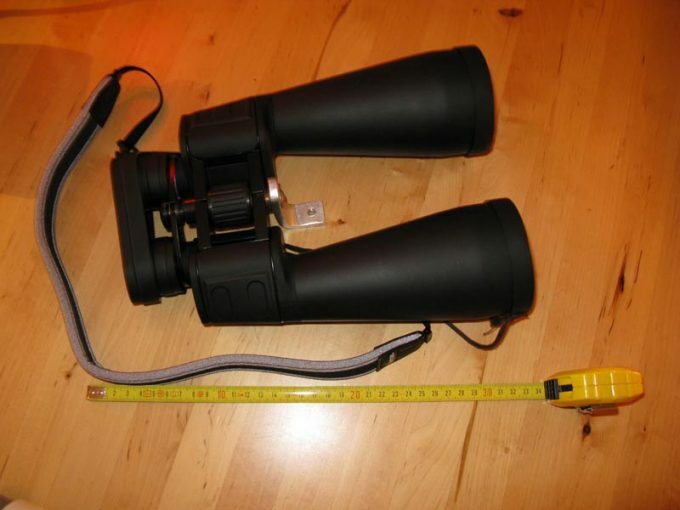 The field of view on these binoculars is 420feet/1000yards. The close focus distance is 20 feet. The exit pupil size is 5mm, the eye relief is 12 mm, and the eye cups are fold – down. The body has rubberized, abrasion-resistant finish. They are sold with a storage/carrying case and neck strap. For those who do not want to spend big bucks for binoculars, this is the most budget friendly model on our list. Our list consists of the best bird watching binoculars for every budget – from the most expensive to the cheapest one. 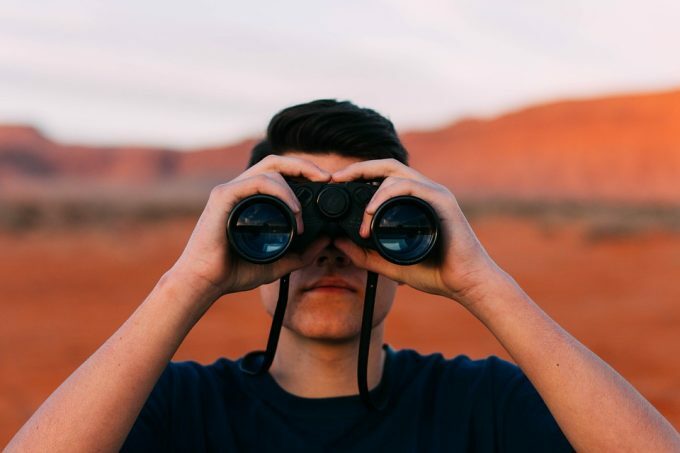 As we have also mentioned everything that you will need to consider when choosing a binocular, we wish you the best of luck in finding the perfect pair of bird watching binoculars for you.